These systems are best-suited to providing comfort for single rooms, additions, and supplemental comfort for problem areas. You can also control the comfort level of each room independently. Stylish look, available in silver or white finishes. 2 Area intelligent eye for comfort settings and automatic energy saving during unoccupied periods. –Whisper quiet sound levels, down to 19 dB(A). 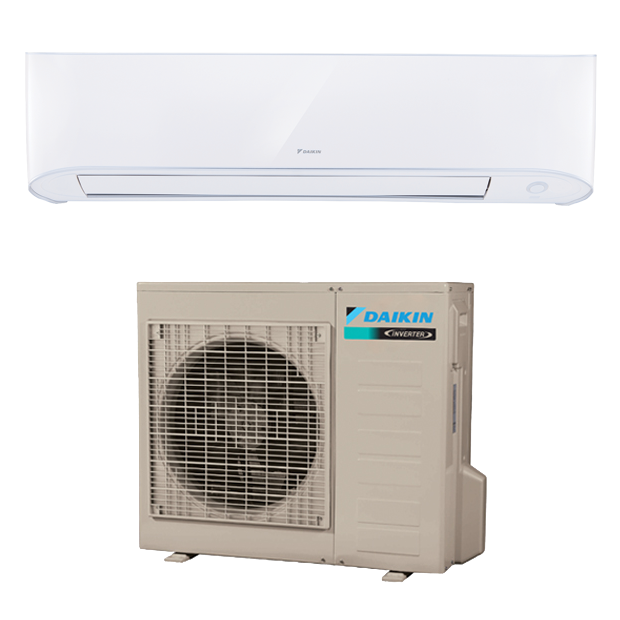 Can be controlled remotely with the Daikin Comfort Control App, adaptor required. 1. Complete warranty details are available from your local dealer. To receive the 10 year parts limited warranty, online registration must be completed within 60 days of installation. Online registration is not required in California or Quebec. 2. Complete warranty details are available from your local dealer. To receive the 12 year parts limited warranty, online registration must be completed within 60 days of installation. Online registration is not required in California or Quebec.